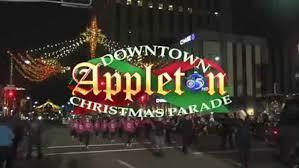 Tuesday: Appleton Christmas Parade! The largest nighttime parade in the Midwest with approximately 80,000 people attending! The Parade will begin at 7:00 p.m. at the corner of State St. and College Ave. It will head east on College Ave. to Drew St. To see the route of the parade, click here http://applications.appleton.org/parades/christmas%202017/route.html. Before the Parade – Santa Scamper Run! Race Start: 6:40 p.m. at corner of State Street & College Avenue. The .08-mile run starts about 1/2 hour prior to the 48th Annual Downtown Appleton Christmas Parade and proceeds down College to Drew St., finishing at City Park. Course Notes: Due to Jones Park being shut down because of construction of the Fox Cities Exhibition Center, the event will now finish at City Park. Please keep this in mind when choosing where to park for the event. Due to the Jones park construction, the 2018 event will be 0.8 miles long. Good-Luck to all the Runners! Thursday: Turkey Trot & Happy Thanksgiving! This year’s Appleton Turkey Trot starts at 8am with a 5-mile run, 2-mile walk, and dog jog. The trot starts at the Radisson Paper Valley Hotel downtown Appleton. 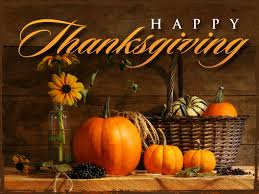 After, the turkey trot, we wish everybody a fun-filled day with family and friends! If you are one of the estimated 54 million traveling for the Holiday ~ Very Safe Travels! 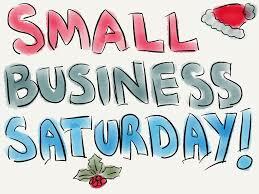 Saturday: Small Business Saturday ® ~ A day to celebrate and support small businesses and all they do for the community. Bring your Shop Appleton First passport with you on Small Business Saturday on Nov. 24 to the 56 Downtown businesses and get it stamped. Passports will be available in the shops (WSL), to download on line, and in the Thanksgiving Day edition of the Post Crescent. Get 5 stamps and be entered to win over $2000 in prizes. This entry was posted in Blog on November 20, 2018 by c06675329.